The local infrastructure body Navca has raised concerns about the involvement of the private sector services firm Serco in a consortium to run a large part of the government’s National Citizen Service. It emerged over the weekend that Serco is part of the NCS Network, a consortium that also includes youth charities Catch22, the National Youth Agency, Vinspired and UK Youth. The consortium is bidding for eight of the 19 contracts on offer to run the NCS in 2013 and 2014. The eight contracts are worth an estimated £100m. The NCS programme involves 16-year-olds taking part in seven or eight-week projects that include community work, a physical challenge and a residential placement. Up to 90,000 places will be available on the scheme by 2014. Neil Cleeveley, director of policy and communications at Navca, said that the government risked repeating the mistakes of its Work Programme, the employment scheme in which businesses teamed up with charities to help people out of unemployment. Cleeveley said: "What we found there was that charities were left with the most difficult cases while their corporate partners cherry-picked the easiest ones." He added: "We could see that again in a youth sector contract, with young people who need the most support and attention left to charities, while corporates deliver on the easiest ones. The problem is not so much Serco but, once again, we have large providers potentially running what could easily be a successful, locally-run service." Cleeveley said the ‘social capital’ aspect of the scheme could also be undermined by awarding large-scale national contracts. Acevo, the national body for charity chief executives, said it believed a partnership of this kind would work, but had reservations about the structure. Ralph Michell, director of policy at Acevo, said: "Our only reservation is that with a large contract such as this, run by government, it ends up being a bit one-size-fits-all." But UK Youth defended the bid, arguing that the third sector lacked the infrastructure to deliver such large-scale contracts. A spokesman said: "It’s about charities leading businesses and making sure they do it right. We know what young people need because we work with them: Serco has the infrastructure to help us deliver." A spokesman for Serco confirmed that it had bid for the contracts but declined to comment on Navca's concerns. 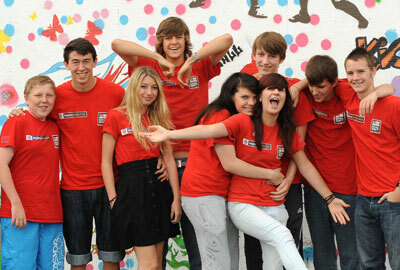 In May, the Cabinet Office invited organisations to apply to run parts of the NCS programme in 2013 and 2014. The government is expected to announce the winners of the contracts in September.